The FTSE continues to edge higher. It’s now regained most of the ground lost in January. That said, it still has a way to go to make up the column inches devoted to the sell-off. Perhaps sentiment’s just a bit bearish. If so, there are plenty of reasons. It’s the first of the month, which means we get the purchasing managers’ index data for manufacturing, which track conditions country by country. February’s number was expected to be lower than January. In the event it was even lower than expected, continuing a downtrend that kicked in a couple of years back. Another bit of worrying news is a story in the FT that gilt auctions have been flirting with failure of late. When the government borrows money – which it needs to do on a regular basis – it issues debt through an auction. Institutional investors bid for the bonds, known as gilts, that are being issued until all the bonds are sold. These bids establish the interest rate, or yield, on the bonds. Recent auctions have seen considerably less interest in British government debt. Interestingly, this hasn’t shown up in the form of higher yields. It’s left some people scratching their heads. Time’s pressing today so I can’t break this out properly. Bottom line, though, it seems there’s a group of investors who have moved to the side lines. That’s why we haven’t just seen yields go up a bit – these guys view British government debt as something to stay away from right now. If at First you Don’t Succeed… Carry on Making Things Worse. My bank wrote to me this weekend, concerning my credit card, they have increased my credit limit by 250%. Is this the bank’s way of doing what you say the government have done? Have any of your other readers had this increase to see if they can get themselves into debt/more debt? I can’t speak for other readers, but anecdotally I have heard similar stories. A good friend of mine recently got a letter from his bank inviting him to apply for a substantial loan. This despite the fact that he has considerable savings with the same bank. It’s not just anecdotal, either. Data from the Bank of England out yesterday show consumer credit grew by 9.1% in the year to January. That’s the highest rate of growth since January 2006. This is good, old-fashioned loose monetary policy at work. And yes, the idea is to promote inflation, by promoting activity in the economy. More lending, more spending, more money in circulation. What’s not to like? Well, I’ll get to that. I’ve been writing recently about how we might see a new policy regime emerge from the wreckage of the last one. Inflation targeting appeared to achieve steady growth and stable inflation, but ignored the build-up of indebtedness that now weighs on growth. That indebtedness will become an even bigger problem if deflation takes hold, as it threatens to. Eventually, I reckon we’ll see aggressive policies aimed at tackling the debt overhang head-on. Potentially followed by ones that seek to curb the build-up of another one. But that sort of thing takes time. It took years for the inflationary 1970s to spawn a fully-fledged inflation targeting regime. So in the meantime, we get more of the same. More debt, more borrowing secured against future income prospects, more at stake if that income doesn’t materialise. And here’s the kicker. What happens if my correspondent takes up the generous offer of a 250% increase in his credit limit? Let’s assume he decides to splurge. That would get more money circulating, sure. At some point, though, he’d need to start paying that money back. That would be deflationary. Part of every pound he earned would need to go towards paying for past spending (plus interest) and would therefore be taken out of circulation. Banks are Just Doing Their Jobs. 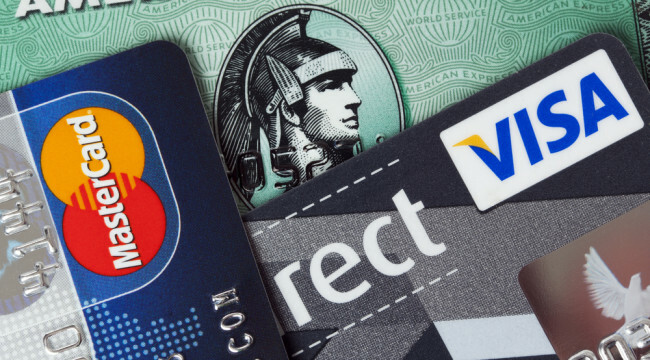 You could blame the banks and credit card companies, but they’re in the game same as everyone. Lending is how they make their money. As a wise man once said, don’t hate the player, hate the game. It’s at this point in proceedings that cleverer/braver souls than me are tempted to talk of grand new visions and re-writings of rule books. I’ll hold my hands up that I don’t have neat, tidy answers. I don’t think any exist, frankly. Luckily, as a younger man I gave policy the widest berth possible. And I ended up here, where we try to figure out what it all means for investors rather than for policymakers. By some weird quirk of the universe, as I was typing that last sentence I got an email from my Strategic Intelligencecolleague David Stevenson. David and I have been discussing the investment implications that more government stimulus would have. If the best that current policy can generate is credit card companies shovelling money out to whoever will take it, sooner or later we should expect this to penetrate policymakers’ skulls. We need to be ready before then.